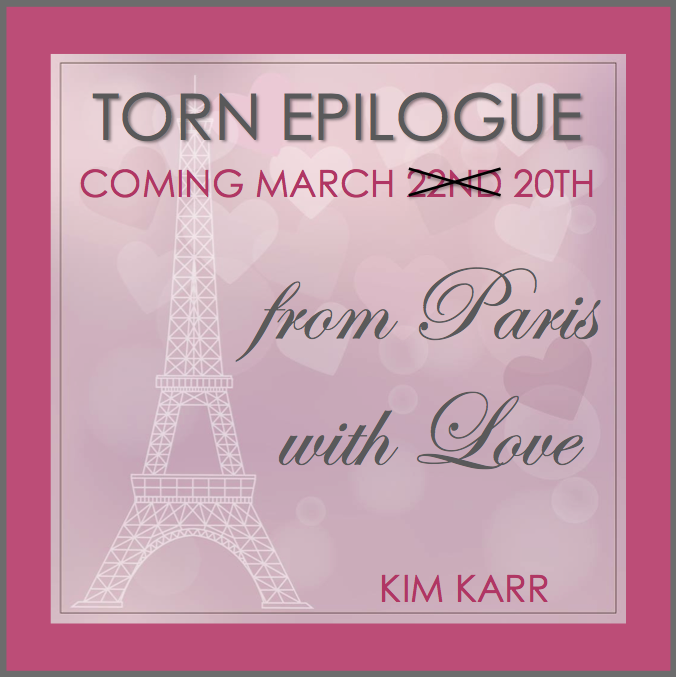 Bookends: Torn (Connections #2) (by Kim Karr) EPILOGUE!! Torn (Connections #2) (by Kim Karr) EPILOGUE!! Today on Bookends we are sharing the Epilogue for Torn (Connections #2) by Kim Karr which was written to introduce Jagger Kennedy (*swoon*) , River's cousin, AND to launch Torn's Paperback Release! So Pre-Order Your Copy Of Dazed Today With The Links Below And Don't Forget To Pick Up Your Paperback Of Torn On April 1st!